All Progressives Congress (APC) leaders are to meet today with leaders of the defunct New Peoples Democratic Party (nPDP) over their grievances. A group of APC members led by one-time Acting PDP National Chairman Kawu Baraje, claiming marginalisation of its members by the APC-led Federal Government a fortnight ago, gave the party a one-week deadline to meet with it and address its grievances. Although another group of ex-PDP members, led by Senator Abdullahi Adamu and House of Representatives member Abdumumin Jibrin, told the party to call the bluff of the Baraje-led group, it was learnt yesterday that the leadership opted to discuss with the Baraje group so as not to be accused of lack of fairness. The party was said to be aware that some of the nPDP leaders had made up their minds to defect from the ruling party, but wanted to give those protesting the opportunity to air their grievances. The outcome of the meeting will be presented to the Presidency and other organs of the party for consideration, a member of the National Working Committee (NWC), who spoke in confidence with our correspondent, said. 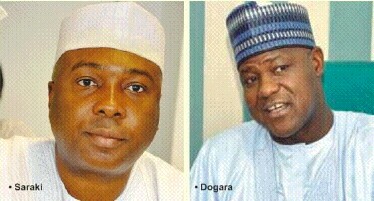 Among those suspected to be planning their exit are Senate President Bukola Saraki and House Speaker Yakubu Dogara. Yesterday in Ilorin, Baraje confirmed that his group had been invited to a meeting in Abuja today with the party leadership. Baraje said: “The last time we met here (Baraje’s house) in 2016, I told you that the way the party was going on we were on the road to perdition. He dismissed the opposition to the group led by Adamu, saying the nPDP is such a large group that it cannot but have some dissent. “We have travelled a long way with the APC and now we are seeing things worse in APC than in PDP. If we are leaders worth the name we should be bold enough to speak about it,” Baraje said. The NWC member said: “We asked the nPDP leaders to come for interaction on their letter to shed more light on their grievances, collate facts and figures and get their opinions on the way forward. “He who alleges must prove. We want to get the facts and figures on the allegations they have put in the public domain. “We have also invited the nPDP leaders to give them a sense of fair hearing in order not to give them any justification for leaving APC. Asked of the next step after today’s meeting, the source added: “We will relate the outcome to our leaders in the Presidency, the NWC and all other organs of the party. Another NWC member said: “We know some of the nPDP leaders have made up their minds to leave APC, no matter the nature of dialogue we have with them. “This meeting with them is not negotiation in any form whatsoever. We do not have the mandate of the organs of the party to negotiate with them. We need to clear the air before they mislead the public. He, however, added that the group was working for the reelection of President Muhammadu Buhari. “President Muhammadu Buhari has declared his ambition for the 2019 elections and those of us in APC are desirous of his victory. That necessitated the letter we wrote. What we are saying in the letter is that for us to win big in the election is to review and revisit all the agreements we have reached with one another in APC. We are only reminding the party. “We are desirous that Buhari wins, are desirous that our party wins the presidential election and the only way we can do it is to ensure that everybody is carried along. This is the right time for those of us who are aggrieved to complain so that we do not carry the grievances to elections period. It is not as if we are rebelling,” Baraje said. Baraje lamented what he called the high rate of internal conflicts within the ruling APC, which has culminated in “parallel state congresses in about 21 states”. He said contrary to insinuations in some quarters, the nPDP’s letter to the leadership of the APC was to forestall such occurrences. There are also Senators Rabiu Kwankwaso, Dino Melaye, Danjuma Goje, Adamu Aliero, Shehu Sani, Suleiman Nazif, Aliyu Wamako, Hamisu Misau, Sani Yerima and some House of Representatives members. Baraje is Saraki’s political acolyte. Former Osun State Governor Olagunsoye Oyinlola, one of the signatories to the nPDP’s letter to the APC leadership, has resigned from the ruling party to join former President Olusegun Obasanjo’s African Democratic Congress (ADC). He was the coordinator of the Coalition for New Nigeria floated by the former President before it fused with the ADC.